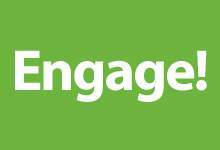 On Monday, October 20 the Engage! St. John’s Task Force Report was tabled and passed in council chambers. The report is comprehensive and includes a new policy direction for the City’s public engagement strategy. Based on the International Association for Public Participation values, the policy is shaped around four core principles: commitment, accountability, clear and timely communication, and inclusiveness. “Cities across the country are using public engagement as a way to better connect to their citizens. With this new policy direction, the City of St. John’s is committed to building the capacity required to make this exciting initiative a great success,” said Dennis O’Keefe, Mayor of the City of St. John’s. In December 2013, St. John’s City Council approved a scoping document for the creation of a framework for public engagement within the City. Since that time a significant amount of work has been done to support the creation of the framework: internal review, jurisdictional review, and the establishment of the Engage! St. John's Task Force comprised of 25 citizen-at-large representatives and organizations. The Engage! St. John’s Task Force Report provides a starting point for a new approach to public engagement, one that facilitates dialogue with the right people, using the right tools, at the right time, on topics of mutual interest. The City of St. John’s created the Office of Strategy and Engagement in 2013 to support the development of a corporate approach to its public engagement work.